Preparation helps a lot with this one. Get the ingredients weighed out, mixing bowls ready and pans ready too. 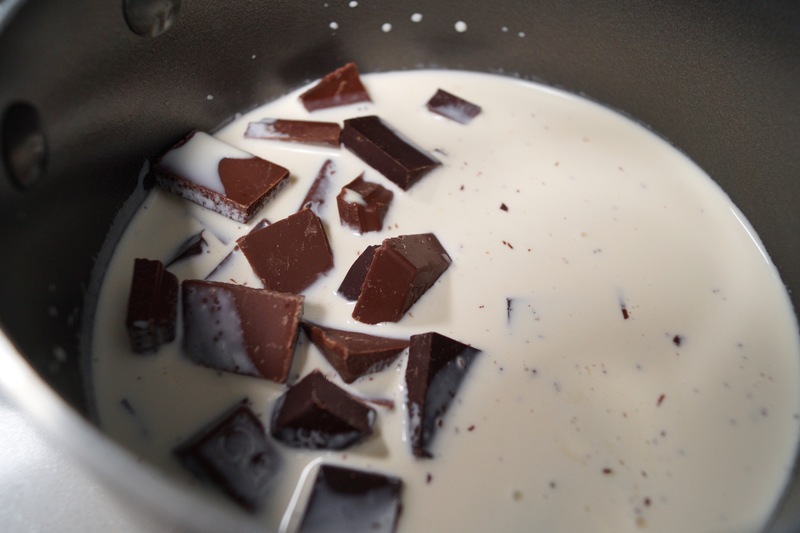 2) Put all the ingredients in a small saucepan and heat over a low heat, stirring occasionally until smooth. 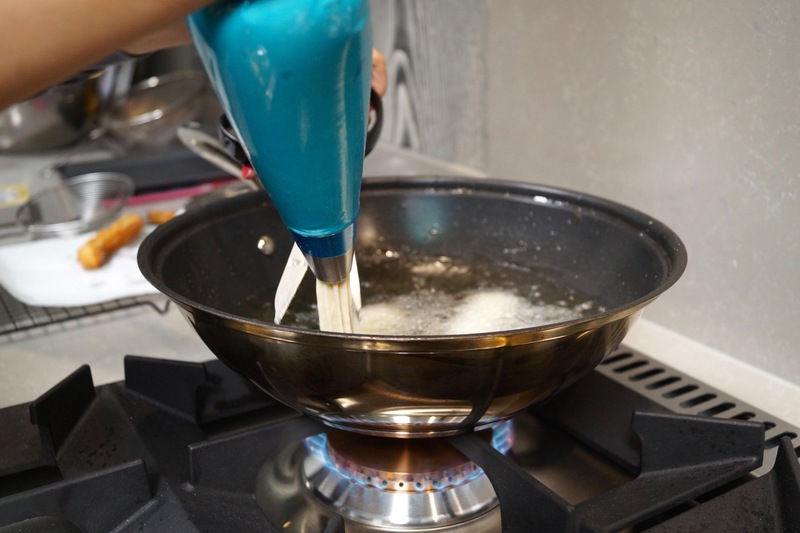 Let it rest over a very low heat whilst you heat the oil in a large pan and prepare the churros. 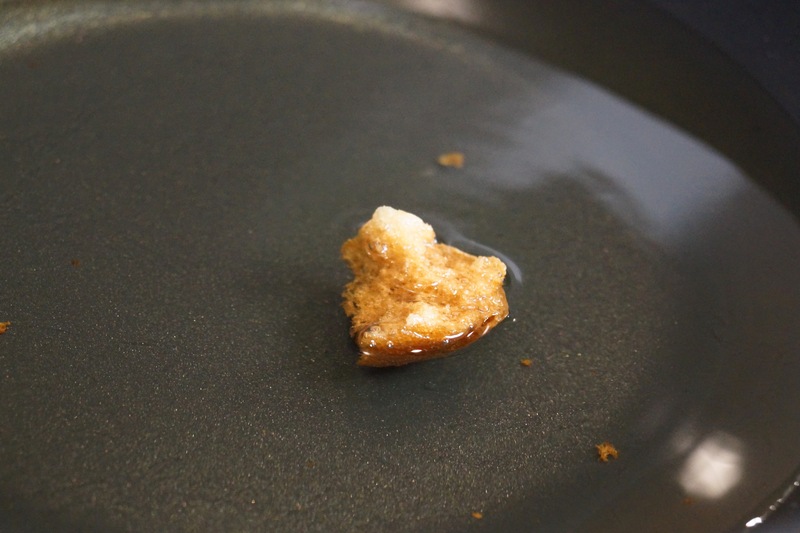 3) To check if the oil is hot enough, put a cube of bread in and it should brown in about 1 minute. 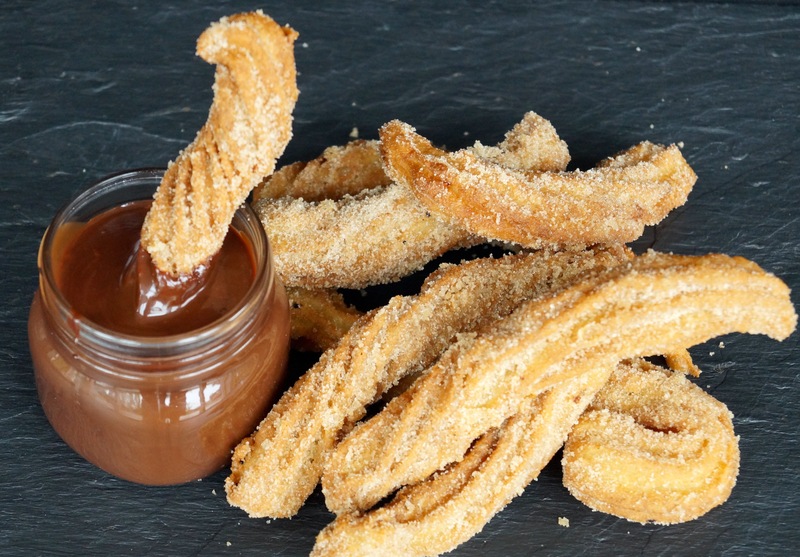 Once brown, the oil is hot enough for the churros. Fit a piping bag with a star shaped nozzle and pour the batter in to the bag. 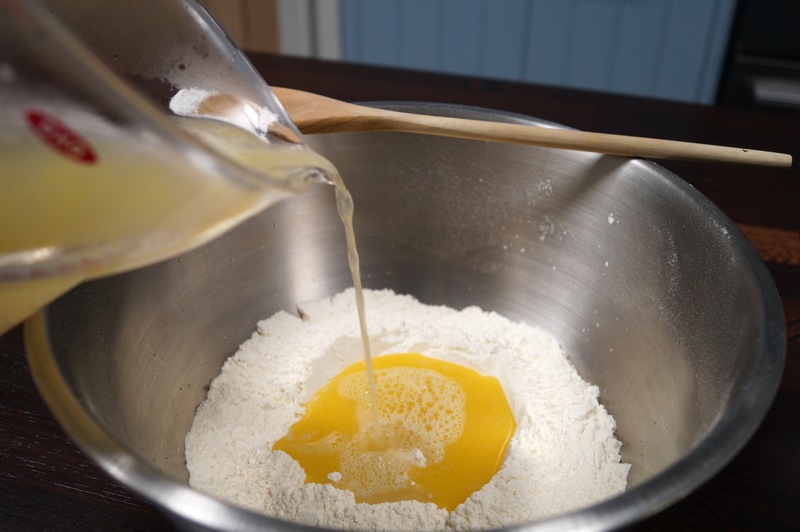 Squeeze lines of the dough into the oil and snip the ends off with scissors. 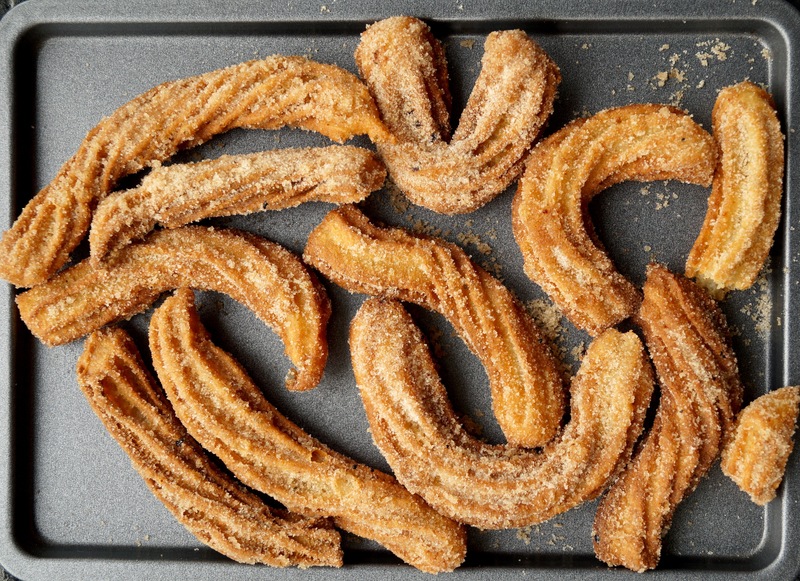 Fry the churros on one side until brown and then flip over. 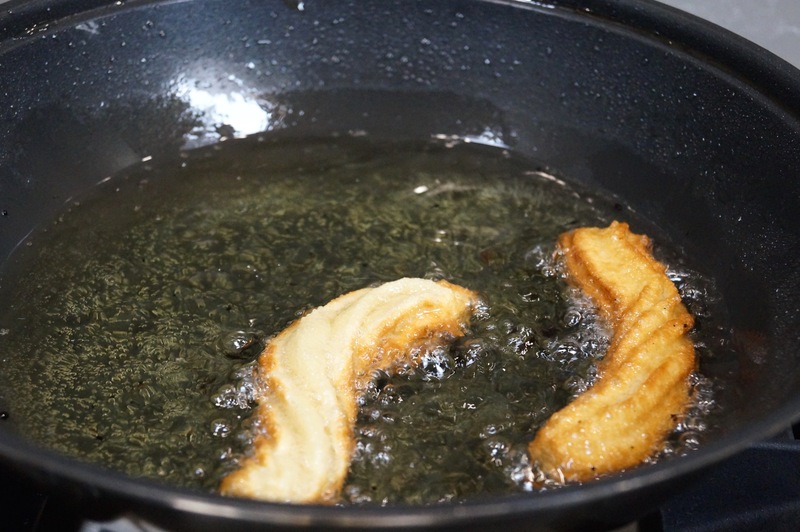 Remove and drain on a paper towel before covering in the cinnamon sugar mixture. 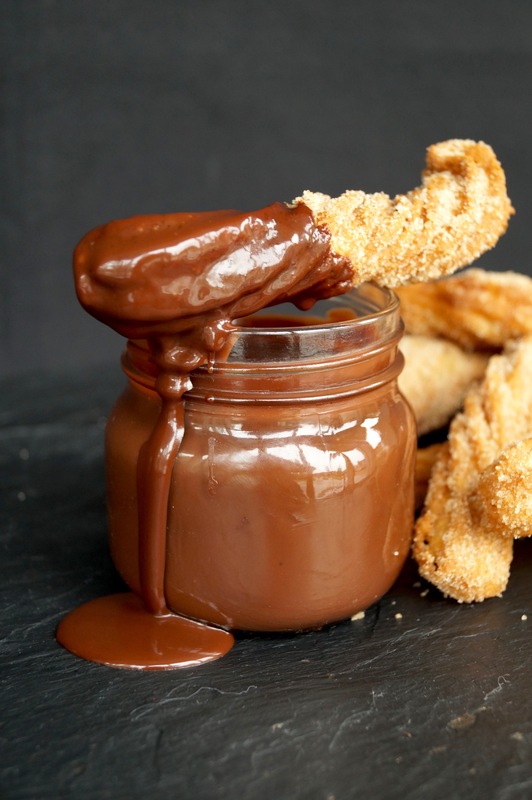 Serve warm, with the warm chocolate sauce.